Where to buy The CP in D.C. 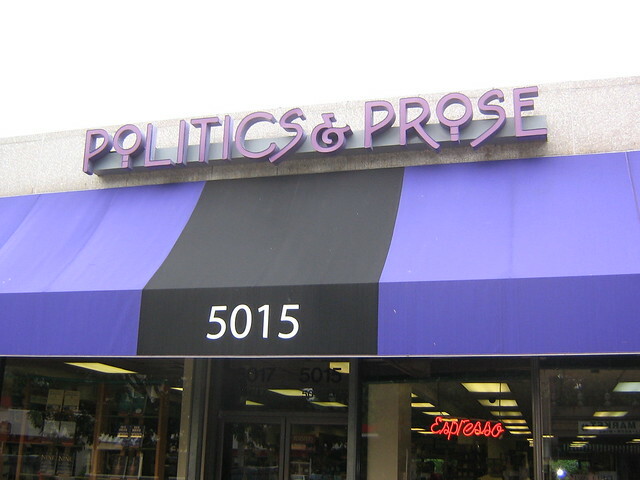 Politics & Prose is in fact NOT a comics store but a very good independent book store. The graphic novel section is actually great and they feature a small amount of well-made mini comics. They even do a graphic novel book club and their shelves feature Berlin, the books by my teacher Jason Lutes. I've seen Art Spiegelman and Scott McCloud both speak there and sign books. 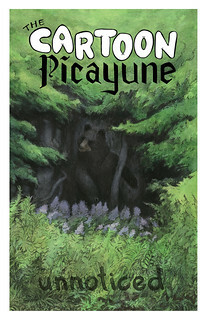 I'm so pleased to have The Cartoon Picayune there. Fantom used to be in the Tenleytown neighborhood, which is where I went to college. It was great to have a comics shop close by, and I even wrote a bad article about the store for the college paper. It's now a store in our Amtrak station, Union Station, and it's mostly super hero oriented. It remains a store I'm loyal to, so you can ask for my comics there. I'm not legit enough to tell you about the history of this store but actual sell zines here, and they have for a long time. They still have issues of zines like Cometbus from the Factsheet Five heyday. I also love how close this place is to where I live right now, so I can check in on my comics if I'm ever around once they open at noon. Kidding aside, it's a great store. There are probably more to come. The hope is that smaller, handmade comics could belong in any number of different kinds of stores, and as long as they accept them, I'm willing to try. I want to consign with a bunch of stores, see where they actually sell, and then just stick with those. See the comics page for a full list of all the stores I consign with and remember you can always buy an issue right through this site.